Olivia learning from the amazing Botso. A big story in a little picture. It’s very moving. Thanks. Dr. Korisheli is an inspiring man. 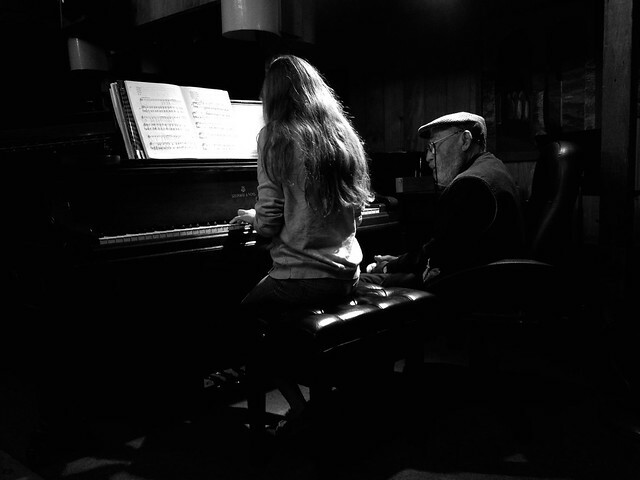 He founded an orchestra many years ago, is a sculpted, has been a teacher for over 60 years and just celebrated his 90th birthday with chamber orchestra and three piano suite in his home studio. The link above takes you to a movie trailer for the film made about his incredible life.